“Why should I choose Fair Business Loans over other loan providers?”. That’s a question we often get asked by companies looking to expand their business. At Fair Business Loans we believe in being transparent with our clients right from the onset. We ensure our interest rates and policies are published clearly on our website, can provide competitor comparisons if requested and are open to answering any questions you have about our loans and processes. One of the many benefits of choosing us is that you get a dedicated relationship manager to help you throughout the loan process. This is all part of getting to know you and your business, so we can offer you the best type of business loan to match your needs and help your business grow. Unlike other loan providers, we don’t use the generic credit scoring systems or computer algorithms when assessing small business loan applications. So if you have been rejected for loans in the past solely due to having a bad credit score, we can still try to help. Flexibility is key when it comes to working successfully with our clients! We will therefore agree on the appropriate borrowing duration and repayment schedule for your loan based, not on what is convenient for us, but on what is best for you and more importantly, your business. Just like our namesake, we at Fair Business Loans want to give our clients the fair deal they deserve! 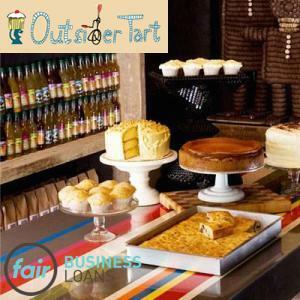 We offer business loans that are fair on every level. If you’re looking to expand your business and are seeking a loan, or simply need some advice about your options, please give one of our Business Loans relationship managers a call on 020 8988 0627, or alternatively send us a message here using Business Loans as the subject.